of all varieties start blooming in the alpine, like the ‘chinguruma,’ which color the landscape a sea of yellow. these colours before they fade. 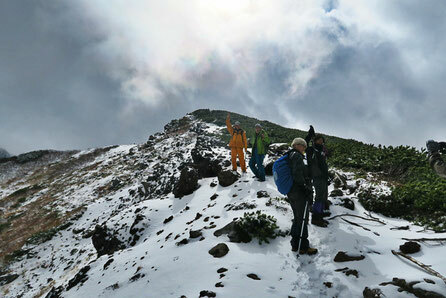 This year I recently ascended ‘Sandanyama’ with a group of friends after the year's first snowfall. 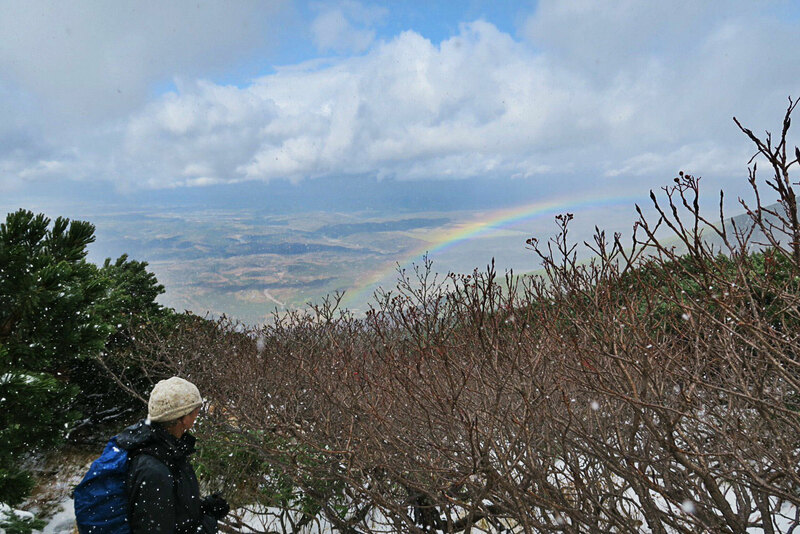 Starting out at a thousand meter elevation there is the ‘sassa’ or bamboo grass. A hardy plant of the bamboo family. Hardy enough that it will survive the weight of a 5 meter snowpack which builds over the course of a winter. It can grow up to 2 meters, and some rebellious stalks can still be found poking out of the snow in late December and early January. 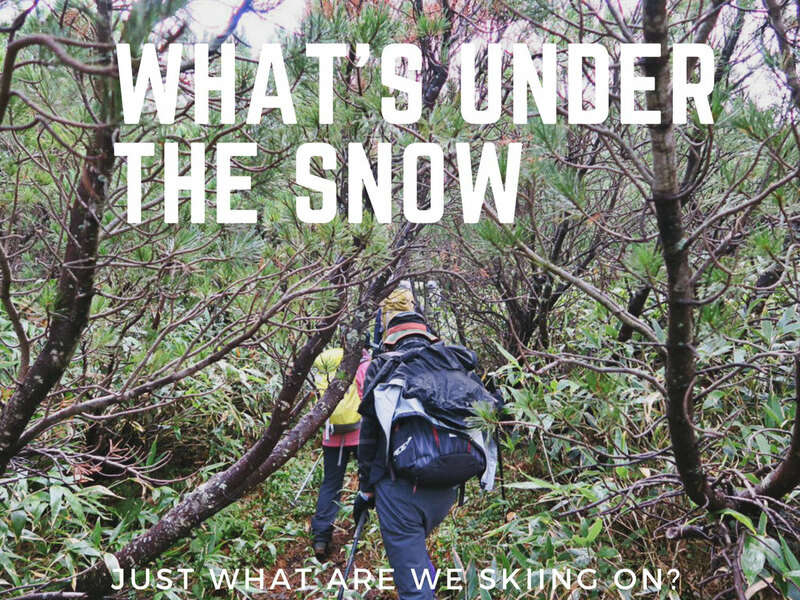 Skiers often talk about ‘snow snakes,’ or something that might snag you. This type of snake is fairly innocuous and usually bashes down on contact with skis. It’s not uncommon to find the toe piece of your bindings full of ‘sassa’ leaves at the bottom of a run. It is fairly innocuous early season, but has ramifications from mid-season onwards. Once the snow has flattened the sassa, the snowpack starts to creep on the slick stems of the plant. In convex terrain features, you will often see glide cracks that have opened up under tension. 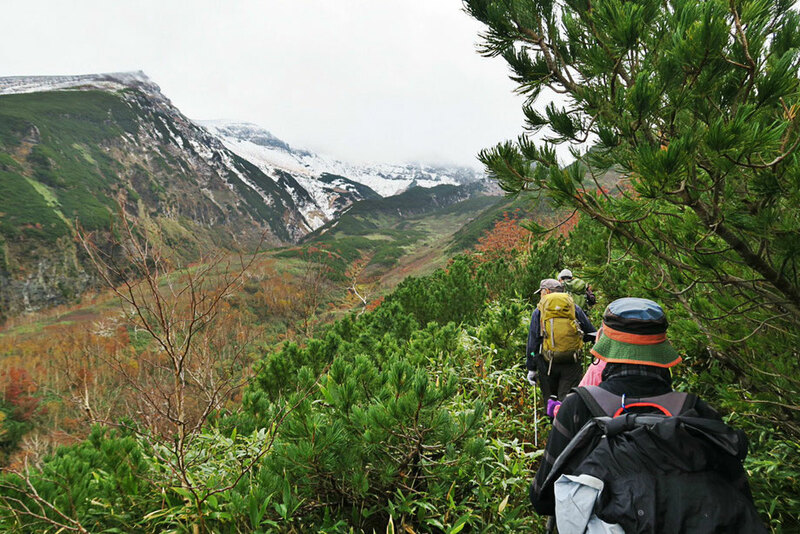 Hiking from 1,300 meters there is the 'nanakamado' and 'haimatsu' trees. A kamado was an original stove that was used in kitchens prior to electricity and heated from burning wood and coal. 'Nana' is seven and relates to how resistant to fire the wood is. You can put it in the 'kamado' seven times, and it still won't burn. 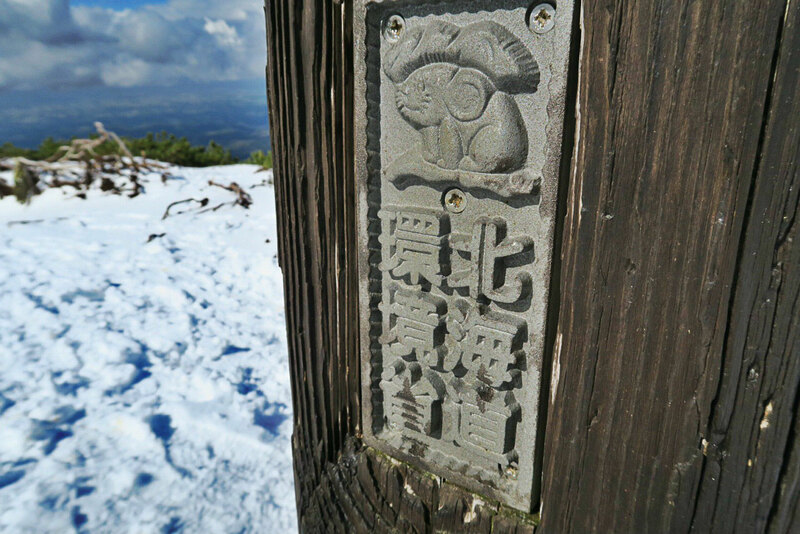 'Haimatsu' is the green pine looking tree and grows in the higher elevations and can be 2.5 meters tall. Ascending further up the mountain it will become shorter. 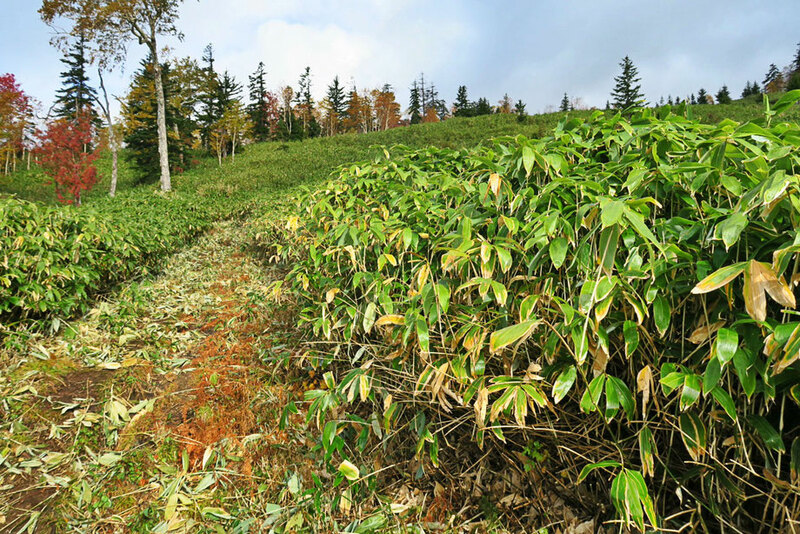 This plant is covered fairly early in the season and is not something you want to be snagged on. 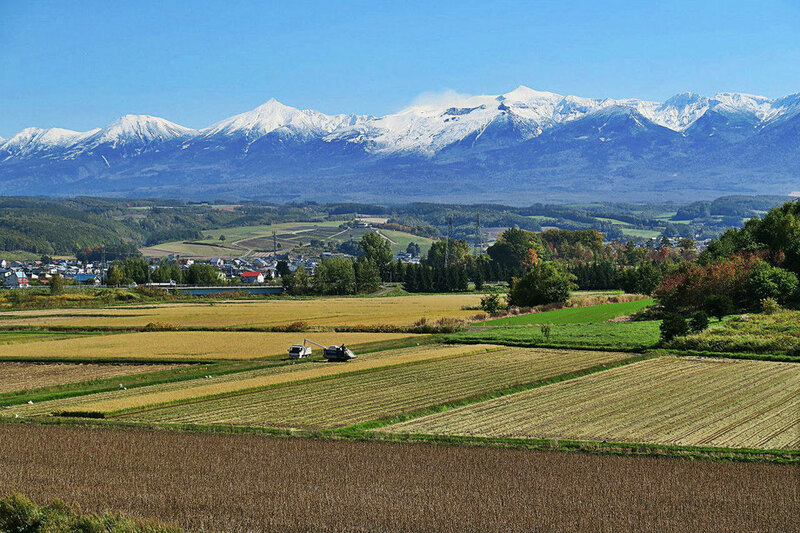 It is one of the reasons why the gates around Niseko might not open until early January. 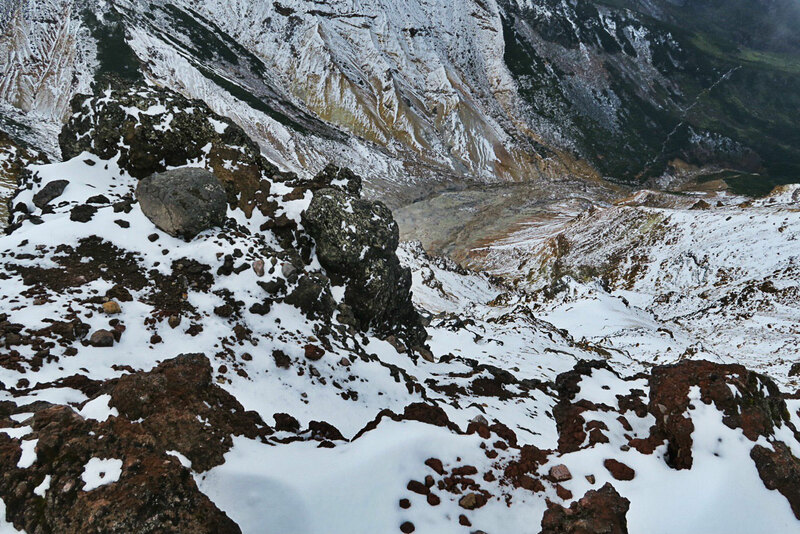 If you ski in the volcanic zone of the national park, this is what it looks like, a rocky almost moonlike scape.